Radisson Plaza Resort, Tahiti 0.0 out of 5 based on ratings. 0 user reviews. The Radisson Plaza Resort features lush surroundings and beautiful waterfront views. 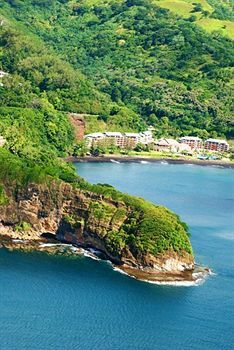 This Tahiti resort hotel on Lafayette Beach is ideal for a French Polynesian honeymoon, vacation or business getaway. The Radisson offers all the amenities expected of top Tahiti hotels, including an infinity swimming pool, an on-site spa and a Business Center. This oceanfront resort offers warm island hospitality and a tranquil atmosphere, inviting guests to relax and unwind and great accommodations as a great honeymoon idea.